The stylish fitness wearable gets an upgrade, and the app gets new sleep-tracking features. This review has been updated to reflect findings from an additional two weeks of testing. The ultra-slim Alta was one of Fitbit’s most popular wearables in 2016. Barely a year later, Fitbit is debuting the slightly rebooted Alta HR, which adds a feature for the fitness-conscious: heart rate tracking. The technology is typically found on chunkier wristbands and smartwatches, like the Apple Watch or Fitbit’s own Charge 2 — but now it’s available on the skinny-as-a-bracelet Alta HR. 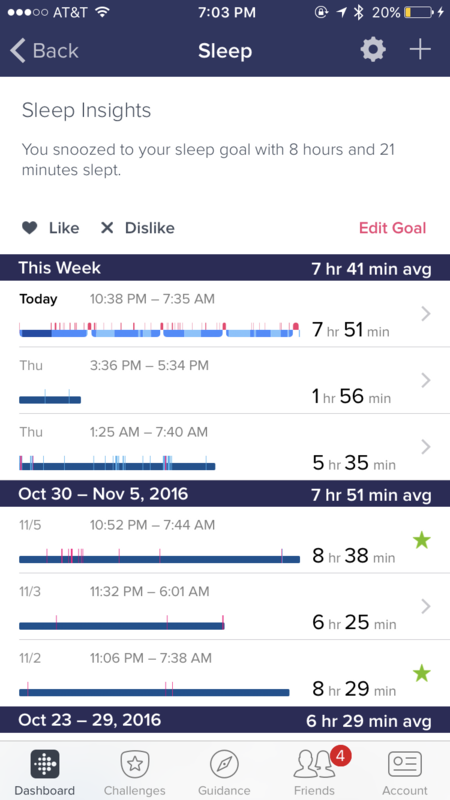 At the same time, Fitbit is rolling out new app features that purportedly tell you about your sleeping habits in detail. We tried out the Alta HR and the sleep features for a couple of days. While we didn’t have enough time to draw definitive conclusions about each new product, we’re sharing our first impressions. Fitbit’s latest wristband can be preordered now and will be available in April, while the sleep features will go live sometime this spring. The same things we loved and hated about the Alta were also true of the Alta HR. The device itself is very comfortable to wear and, as we mentioned in our previous review, it’s also one of the sleekest, most attractive fitness wearables available on the market. The touchscreen, however, remains a guessing game. The Alta is a button-less device, which means that to scroll through your stats or turn on the screen, you need to tap it. The problem is, it usually takes two or three tries (targeting different parts of the screen, tapping with varying levels of force) to get the screen to respond. A Fitbit representative tells us that swiftly double-tapping the bottom corners of the tracker are most effective — but even with that advice in mind, it’s tough to get the motion exactly right while on the move, specifically when attempting to view your heart rate during a dimly lit spin class. The Alta HR’s “smart features” — call, text, and calendar notifications — are helpful, unless you use an alternative messaging app like WhatsApp, Messenger, or Signal, in which case you won’t get a text alert. The trackers’ “smart features” are limited to SMS. 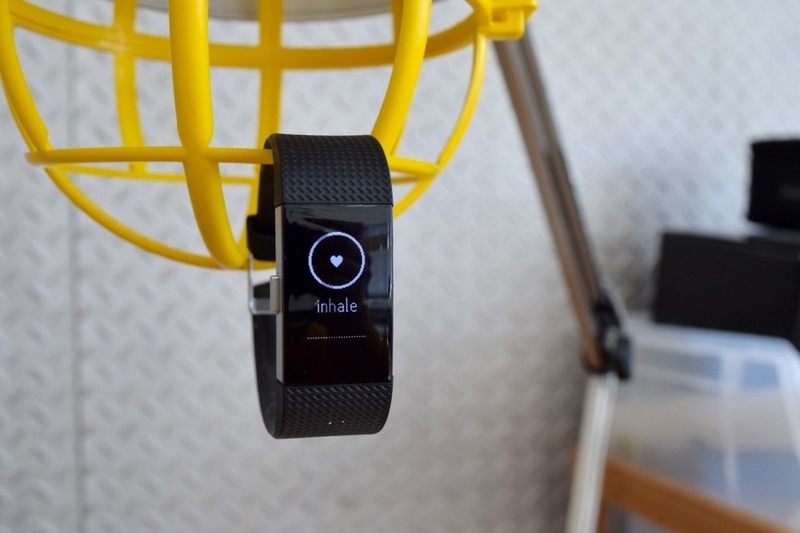 To add heart-tracking to the Alta, Fitbit had to decrease the size of its sensor parts. We were concerned that the smaller optical heart rate monitor on the Alta HR would affect its accuracy compared to bigger devices like the Charge 2 or Apple Watch 2. 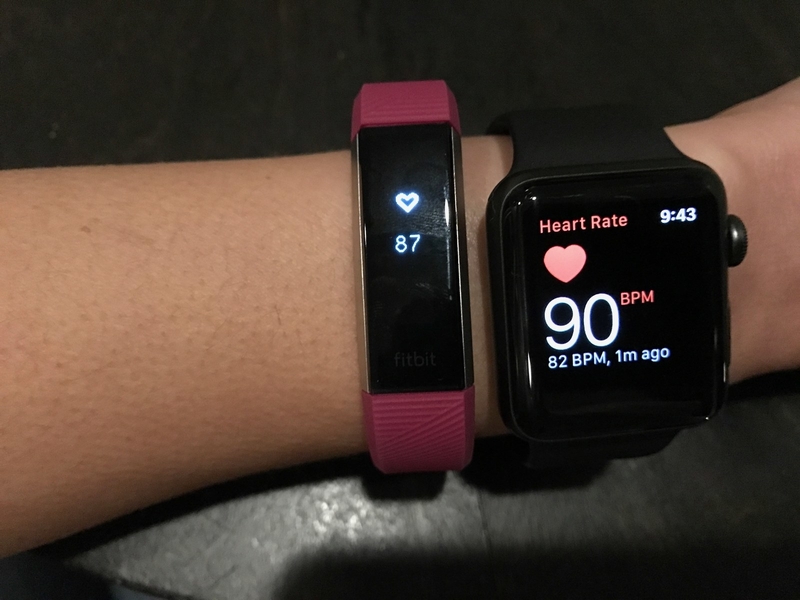 But when Nicole compared the Alta HR’s resting heart rate results to readings from an Apple Watch 2, both devices were, on average, within three beats per minute of each other. So the Alta HR seems to do a decent job of measuring resting heart rate — with the caveats that the Apple Watch isn't a flawless baseline, and wrist-worn heart rate trackers aren’t as accurate as chest strap-based monitors. But how does the Alta HR do when you’re not sitting still? An October 2016 research letter in JAMA Cardiology foreshadowed our experience. 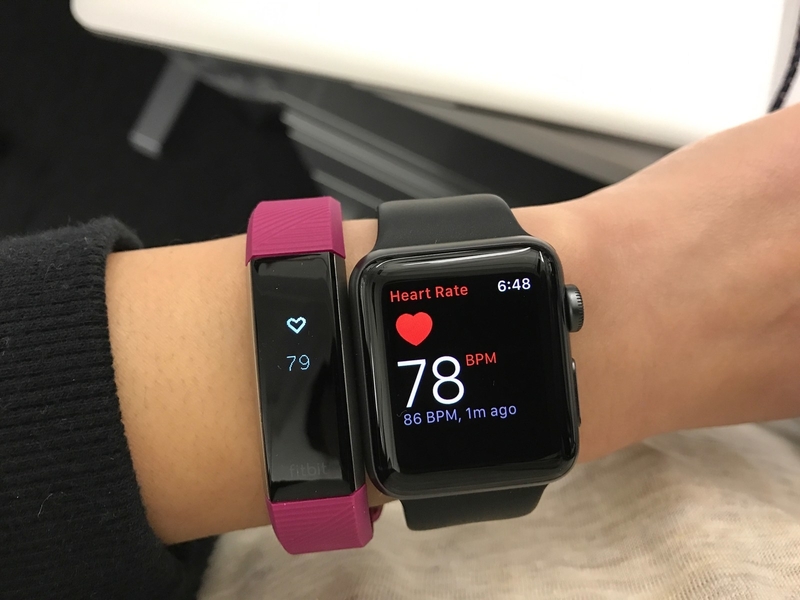 People wore various devices while exercising, and virtually all readings from the Fitbit Charge HR — which uses the same “PurePulse” heart rate tracking technology as the Alta HR — fell 34 to 39 beats per minute below or above the true heart rate. For comparison, virtually all of the Apple Watch's readings fell in a slightly closer range, just 27 to 29 bpm below or above the true heart rate. Also, a review in Runner’s World confirmed that the Apple Watch 2 produces similar heart rate results to a chest-strap monitor during long runs. During our workouts with the Alta HR and Apple Watch for comparison, it was hard to get a consistent reading. Fitbit products have gone beyond counting steps and focused increasingly on measuring exercise. Last year, the company introduced a “cardio fitness score” that shows you how fit you are (and can be) on its devices with heart rate tracking. That's based on your resting heart rate and profile (weight, height, age, and gender). And the app recommends ways to improve; for example, Nicole was told to increase the intensity of her exercise in order to increase her score by 20%. Intensity is measured in part by being in different heart rate zones, like peak (the most intense), fat burn (least intense), cardio, and out of zone (not exercising). 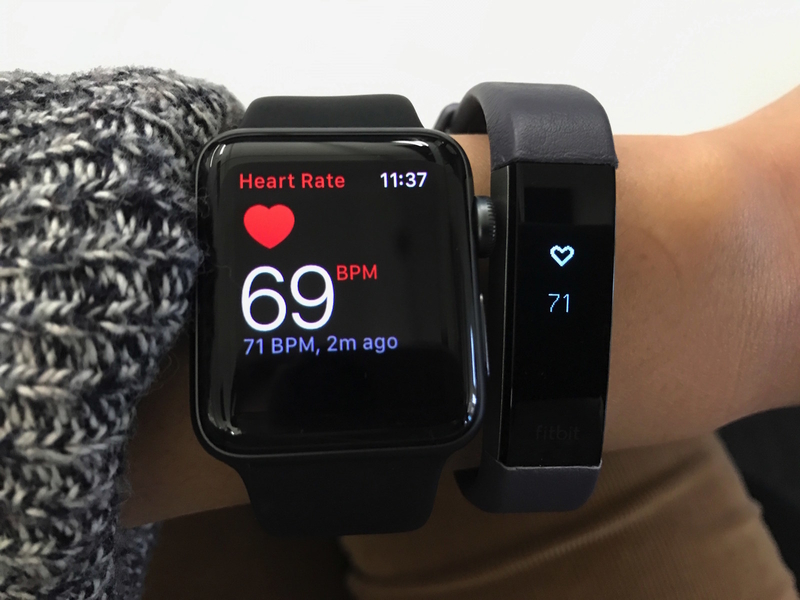 This all depends on the accuracy of the heart rate reading, of course, so we worked out with the new Alta HR and compared it to the Apple Watch (both the original and second-generation versions, which share the same heart rate sensor). And in our experience, the Alta HR's accuracy seems to wane with activity. Stephanie went on a run and, at one point, the Alta HR said her heart rate was 173 bpm, while the Apple Watch said 88. Another time, the Alta HR said 125 and the Apple Watch read 105. Both bands were affixed tightly, with the watch further up the wrist. Shelten Yuen, Fitbit's vice president of research, said he didn't want to comment on the Apple Watch's readings since he doesn't know much about how it works. But "the Alta HR seems like it was probably working pretty well," he told BuzzFeed News. Meanwhile, Nicole went on a mountain bike ride and wore the Alta HR farther up her wrist. (Yuen says that the Alta HR is more accurate when it's slightly higher up the arm.) Fitbit's auto-tracking technology said that Nicole's average heart rate was 116 bpm, while the Apple Watch 2 said 137. Yuen said, "Without any ground truth, it’s hard to know if one was doing any better than the other." "Sometimes the signal can disappear or be very hard to find and it can take a little bit of time for the Alta HR to find it again," Yuen said, when asked why this seeming discrepancy had occurred. 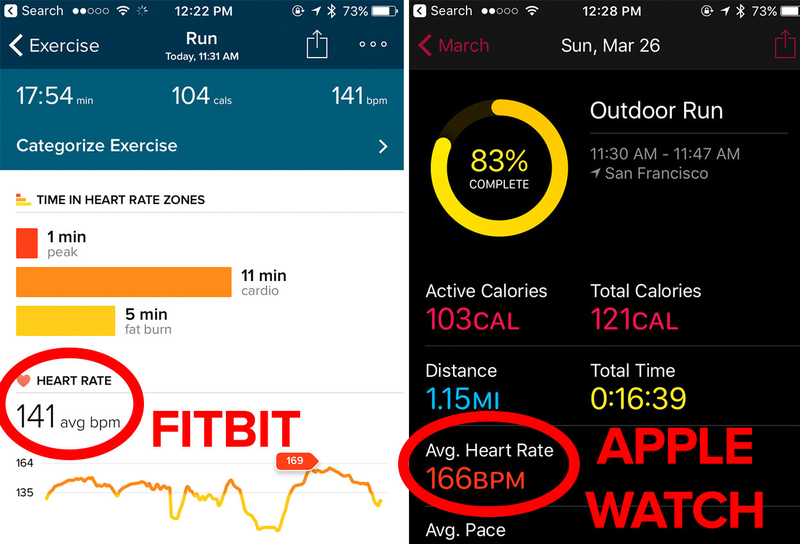 For the entire run, the Apple Watch 2 measured a heart rate average of 166, while the Fitbit measured 141. That doesn’t quite match up to what we found when we tried to gauge how accurately the HR measures heart rate, but again, this is a first impressions review. Our testing is not as rigorous as the JAMA research we cited earlier, but it does reflect our experiences when we tried the HR. We’ll try again with a chest strap monitor, and update the results. 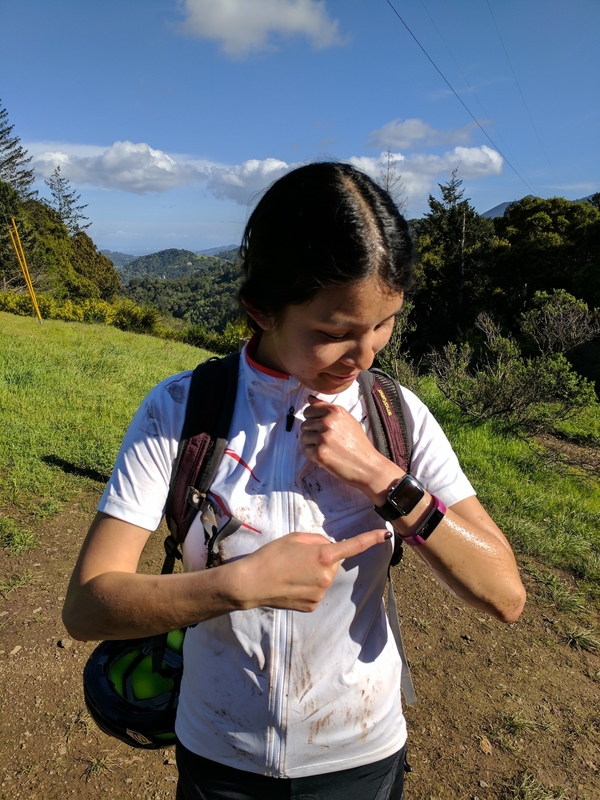 After publishing this review, we spent another two weeks testing the accuracy of the Alta HR's heart rate monitor by comparing the fitness tracker's readings to a chest strap, and published the results here. The results backed up our preliminary findings. It's worth noting that the Alta HR's auto-tracking estimated Nicole's bike ride mileage as accurately as Strava (13.8 miles), even without connected GPS, which relies on the phone's GPS and is only available on the Blaze and Charge 2 bands. The app wasn't able to offer mileage for Nicole's run, however. Although the Alta HR may not be as on-point as the Apple Watch, the Fitbit app’s heart rate display is more user-friendly than Apple’s Health app. You can easily find your average resting heart rate, which is a good measure of your overall fitness, for that day or month in the Fitbit app. Apple’s app only offers minute-by-minute results and your minimum and maximum heart rate readings. To track average heart rate readings with Apple Watch data, you need to download a third party app, like HeartWatch. The newest aspects of Fitbit’s app, available for the Alta HR, Blaze, and Charge 2, focus on the part of the day when you’re not moving at all. They seem intriguing so far, but it’s too early to know for us if they’re truly helpful. 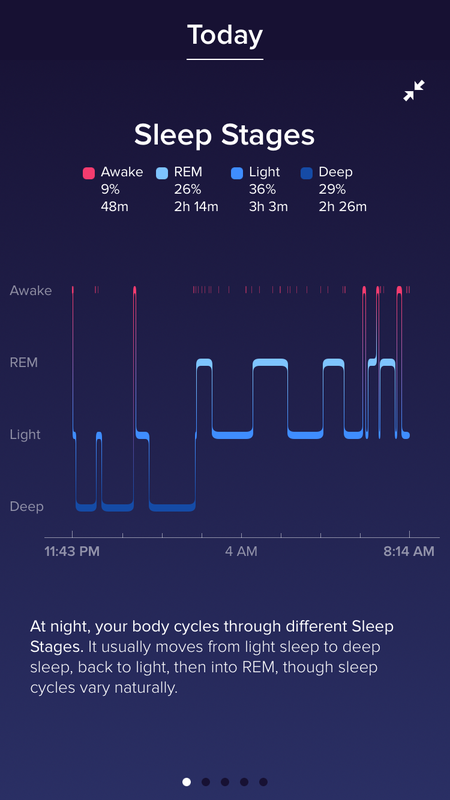 The “sleep stages” feature claims to automatically track when you’re undergoing REM and “light” and “deep” sleep, as well as when you’re awake. Stephanie recently wore the Alta HR to bed at 12:17 a.m., which was definitely past her 11:30 bedtime (she blames Downton Abbey and wine). Then she woke up at 8:08 a.m. — a little on the late side. That's a total of six-and-a-half hours asleep, her app reported, taking into account the hour and 17 minutes Stephanie had apparently been awake during the night. She also learned that she spent 35% of the night in “light” sleep, more so than any other stage, and this stage “promotes mental and physical restoration,” according to the app. The app showed Stephanie how her sleep stages compared to those of women her age (29). Turns out that that group on average spends 40–60% of the night in light sleep, versus 35% for Stephanie. The lower-than-average number perhaps explained why she felt sluggish during her shower and commute. But the app didn’t say that getting more light sleep — or more or less of any other sleep stage, for that matter — would be better or healthier. Nor did it suggest ways to alter her sleep stages. 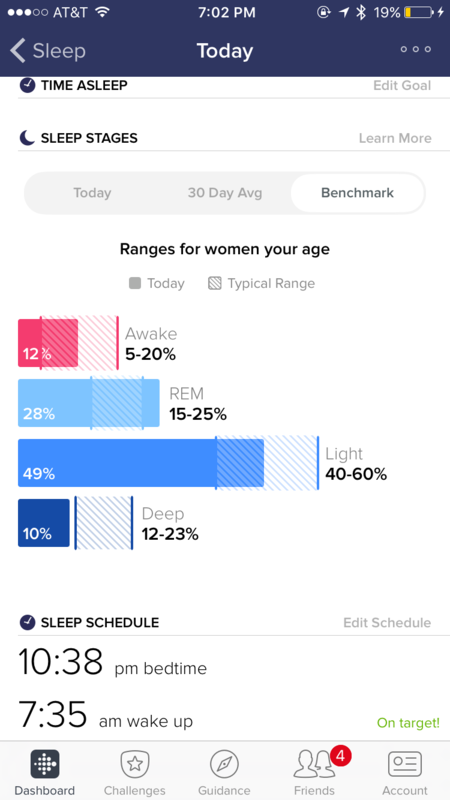 This level of detail about our sleep is interesting (and reminds us of a similar feature from Jawbone back in the day), but we aren’t totally sure what to do with this new knowledge. Also, this data should probably be taken with a small grain of salt. Measuring sleep is really difficult — even in a sleep lab, which records your brain waves, blood oxygen levels, heart rate, breathing, and eye and leg movements. The jury is still out on how accurate consumer-grade wrist-worn devices are for sleep-measuring. 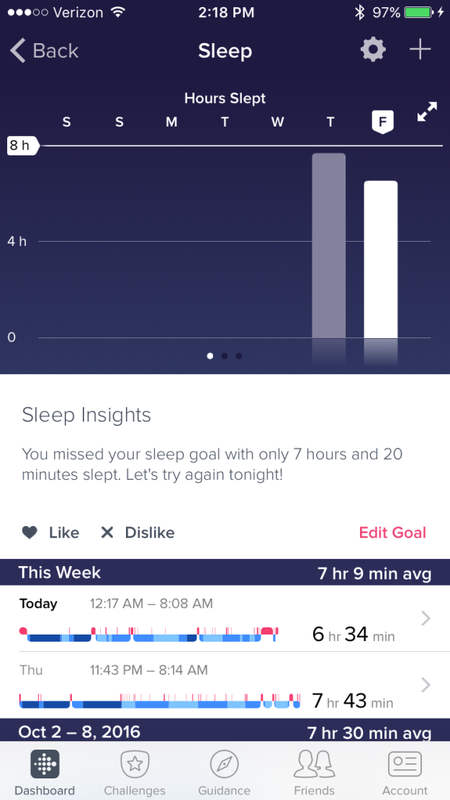 While Fitbit doesn’t give you specific recommendations about your “sleep stages,” it is now providing bite-sized, personalized advice about getting better sleep in general. These suggestions take into account your overall Fitbit data, like your exercise and weight, and are available for all devices that track sleep, not just the heart rate tracking ones. A Fitbit representative tells us there is no set number of days it takes for the individualized insights to kick in; rather, “they just become more personalized as you log more data over time." The Alta HR’s battery life has been increased to seven days (versus just five in the Alta). But because we only had a few days to review the device, it hasn’t run out of battery yet! We’ll update this in a week when we’ll know just how long it lasts. After publishing this review, the Alta HR's battery did, indeed, last seven days for Stephanie and eight days for Nicole. Should I get a Charge 2 or Alta HR? This is a tough one. Both the Charge 2 and Alta HR offer activity tracking, smartphone notifications, and, now, heart rate monitoring, plus they’re the same price ($150). The main difference between the two devices is the “multi-sport mode” that lets you manually track workouts on your wrist that SmartTrack can’t detect, like yoga, spin, or weightlifting. The Charge 2 can be put into “multi-sport mode” by pressing-and-holding the tracker’s side button, while the button-less Alta HR can not. Alta HR wearers will need to manually log the activity after they finish, and your heart rate data recorded during the activity’s start and stop time is used to calculate calories burned. The tracker can store your data on-device for seven days. SmartTrack exercise detection automatically recognizes continuous, high-movement activities like walking, running, outdoor biking, elliptical, and high-movement workouts like tennis and dance classes. Those who rely on real-time stats during their workout will benefit from the Charge 2’s bigger screen. If running or biking, you’ll see mileage in big, bold numbers. For weight training, you’ll see heart rate. The larger display may also be easier to use. The Charge 2’s side button is much more straightforward than the Alta’s sometimes cumbersome, unresponsive touchscreen. The Alta HR also doesn’t offer “guided breathing sessions,” which are exclusive to the Charge 2 and Blaze. The “Relax” feature consists of two- and five-minute sessions that use an animated visualization or vibration to prompt you to breathe and slow down your heart rate. Because of the Alta’s stylish form factor, it’s much more wearable than the bulkier Charge 2 for smaller wrists (though Fitbit offers a variety of accessories to dress the Charge up). The leather band option ($60) makes the Alta look particularly formal/professional. But even without the additional accessory, it’s fine to wear to work or go out. The Alta’s svelte design means that it’s more comfortable too, especially while sleeping. If you want to take advantage of the new Sleep Stages and Sleep Insights features, you may want to consider the Alta HR over the Charge. So, should you get an Alta HR? If you're new to fitness trackers, read this guide on whether or not they're really worth it, first. If you already have an Alta, the Alta HR isn’t all that different and you shouldn’t upgrade. If you don’t, this tracker is ideal for those interested in a stylish device that doesn’t look like a fitness wearable but offers comfortable sleep tracking, all-day heart rate monitoring, and tracking overall fitness goals. It’s less optimized for people who rely on stats while working out – and if you’re into interval workouts or weight lifting, you’re better off with the Charge 2. The Alta HR is the heart rate tracker with the longest battery life and the sleekest form factor. 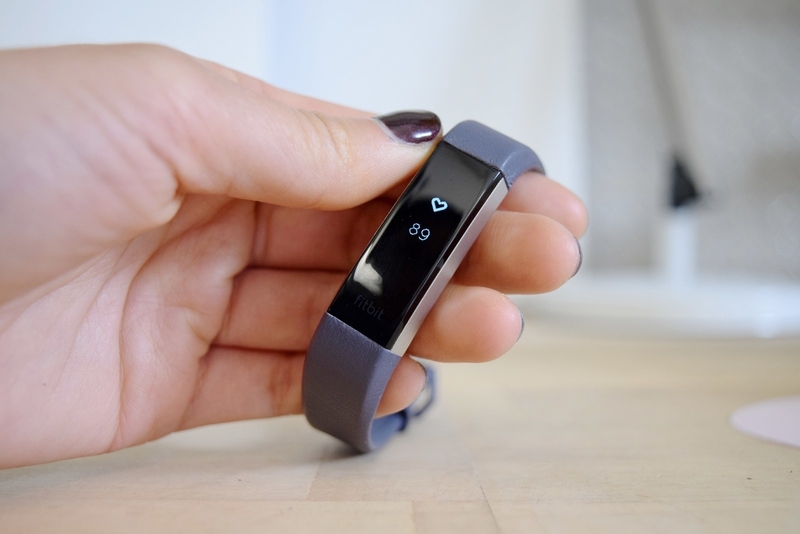 Nicole thinks the Alta HR is the ultimate Fitbit because of its size, “smart features,” and added heart rate tracking capabilities – but only for those who want a general snapshot of their health. Because of the heart rate tracking issues that cropped up during our workouts, we can’t recommend the Alta HR for heart rate zone training (like the Polar H7, which is recommended by many exercise physiologists). The Alta HR can more accurately measure your resting heart rate, however, and give you a good sense of your general fitness level. Stephanie, who considers herself a “non-athletic athlete” and runs casually a couple times a week, feels like she can get by with the first-generation (and at $130, cheaper) Alta — because heart rate monitoring is not an essential for her. Shop for the Fitbit Alta HR here. Fitbit's Alta HR and Charge 2 cost $150. An earlier version of this article misstated the price.